Orlando, FL – Golf Genius Software (GGS) today announced a new product to help golf professionals save time, eliminate paperwork and deliver exceptional service to their club members. The cloud-based software solution, Golf Genius Golf Shop, is being unveiled at the PGA Merchandise Show, an annual trade event in Orlando that draws thousands of golf professionals from around the world. Golf Genius Golf Shop streamlines special orders, tracks demo clubs, and automates member communication. Incorporating direct input from PGA professionals, Golf Shop is designed to end the longstanding reliance on three ring binders, notepads and other older and less efficient methods of managing golf shop workflow. Golf Genius Software provides innovative and reliable software products to private clubs, public courses, resorts, and golf associations around the world. technology, Golf Genius TMS offers features including customizable event websites, online registration and payments, a full library of tournament formats, live scoring, TV leaderboards, printed materials, automated email and text messaging, and integration with popular club systems. Golf Genius powers tournament management at 8,000 private clubs, public courses, resorts, and golf associations in 40 countries, including thousands of golf clubs and virtually every state and regional golf association in the United States who use USGA Tournament Management powered by Golf Genius. 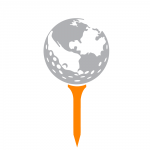 Golf Genius Software has more than 70 employees, including 29 PGA professionals, with sales and support operations in the United States, Canada, the UK, Europe and Australia. For more information about Golf Genius Software, visit golfgenius.com.